It’s fall already, winter is no far and well, now is the time to stock up on your winter essentials ladies. You do not want to go in the store and see all the fresh stock gone, do you? I shopped my winter collection from GAP and Zara and I was mighty impressed with the stocks they had in mid July in their Champs Elysees store in Paris. The point I am trying to make is that they make winter stock the year round and you must stock up on it before everybody else has it already. I am craving to save for that Burberry Cashmere Wool Scarf and Lanvin Gloves though. 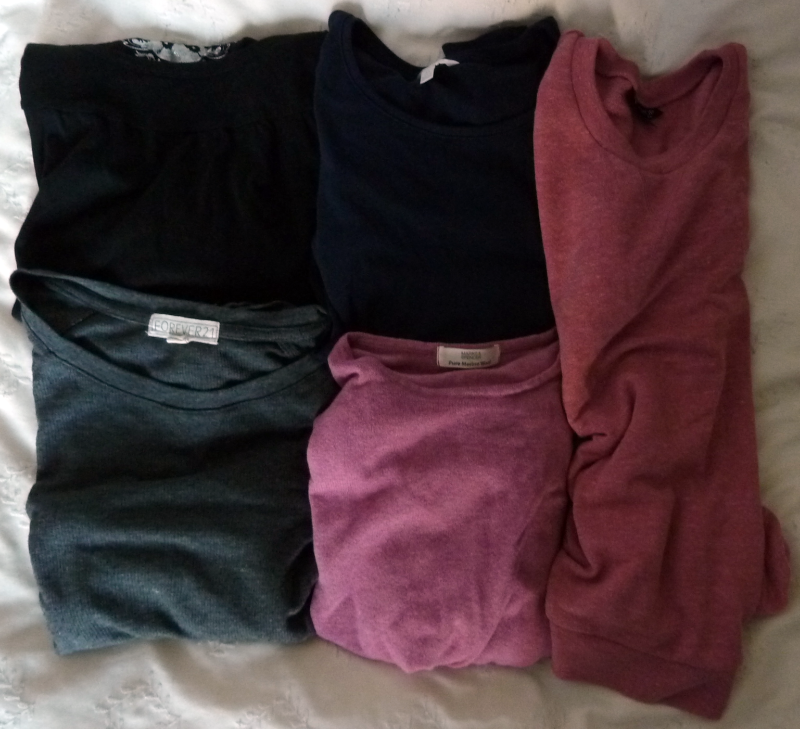 They’d have been my best buy from every winter ever! 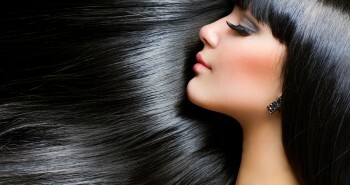 Here’s what each of you ladies must buy before winter comes! Actually I’d rather no sheepskin Uggs but those that are still furry and keep you warm. Aeropostale impresses me with their collection but I have mine from last year from Carlton London. They look like boots, except they are triply comfortable, warm and soft. They’d slide on like cotton and look as stylish with your knit skirt as they would over your denims. 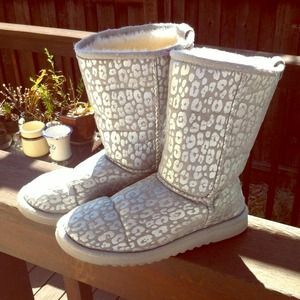 Got your Uggs Girls? It is incredibly important that you keep your head and ears covered if its biting cold because those will get you sick sooner than ever. You must thus buy yourselves woollen beanies and hats to keep you warm headed (literally). 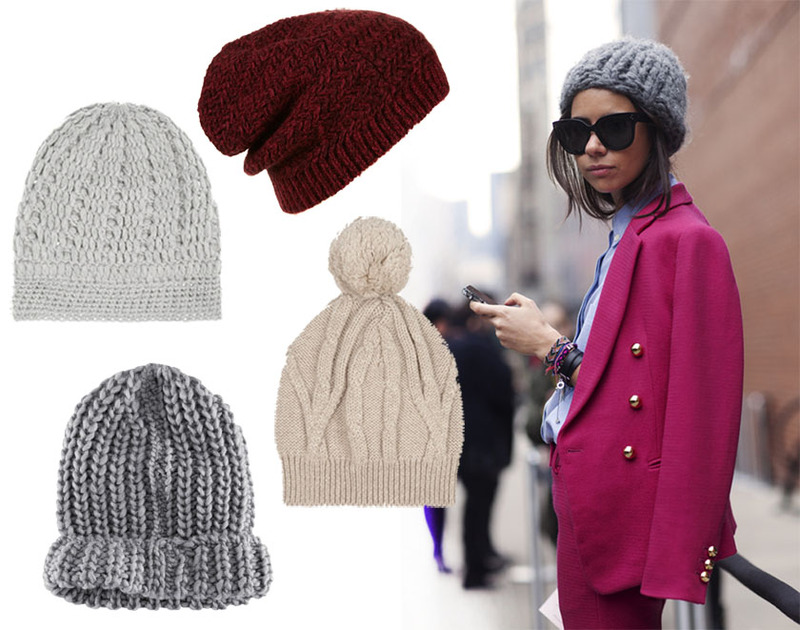 Pom Pom beanies were a rage last season. Got them still? Try removing the Pom Poms and use those again, or maybe check Hennes & Mauritz for their collection. Don’t like how Beanies and Hats tend to pull away from your look (even if you paid a fortune to get that hair cut and streaks done)? Knitted Hairbands solve a bit of your purpose atleast. I love mine for Per Una for keeping me warm and being a fashion statement all the same. One tip though, try investing in neutral coloured headbands. European countries can bite your fingers when it is cold. No wonder Norwegians yearn for soft hands. Invest in a pair of warm gloves and keep your fingers from the cold. You can always moisturize before you pull on the gloves to get a near manicure at home. Invest in a pair of Lanvin gloves and your hands will be full of money (Quite Literally). 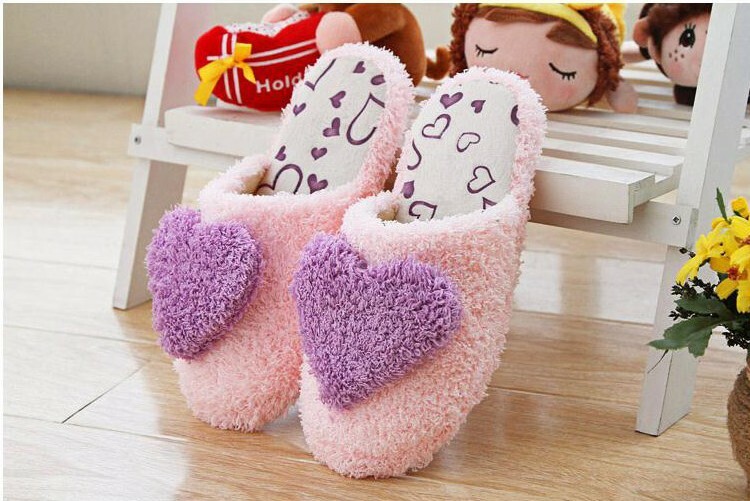 Whoever said you can have no luxury to keep your feet warm while sleeping? It is absolutely essential that you own a pair of soft furry sleeping slippers to keep you warm when you sneak out of bed to use the washroom while it is freezing cold outside. Forever 21 does a super cute collection of these sleeping slippers. I love mine stolen from a hotel in Macau more though! Reminder : Always bring back the sleeping slippers from your Luxury hotel stay. Your feet will thank you for them. Women, it is absolutely essential that you remain warm and layer up on clothes when temperatures fall drastically. You must hence stock up on a lot of thermal inner wear to keep you warm. Marks and Spencer does a lovable range of these, you’d love them like your own comforter. I wasn’t too fond of earmuffs until my trip to TopShop last winter. They make cute furry earmuffs to keep your ear from freezing. You get bunny eared earmuffs and plaid printed too. I got mine in leopard print. Which look is yours this winter? 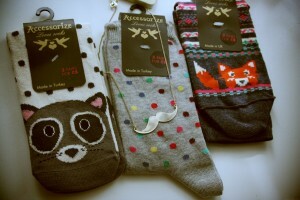 Are you as much a socks hoarder as me? I’ve got half a hundred of them while I’ve lost one legs of the other half a hundred. Bright coloured or neutral, long or short – but all that you like. 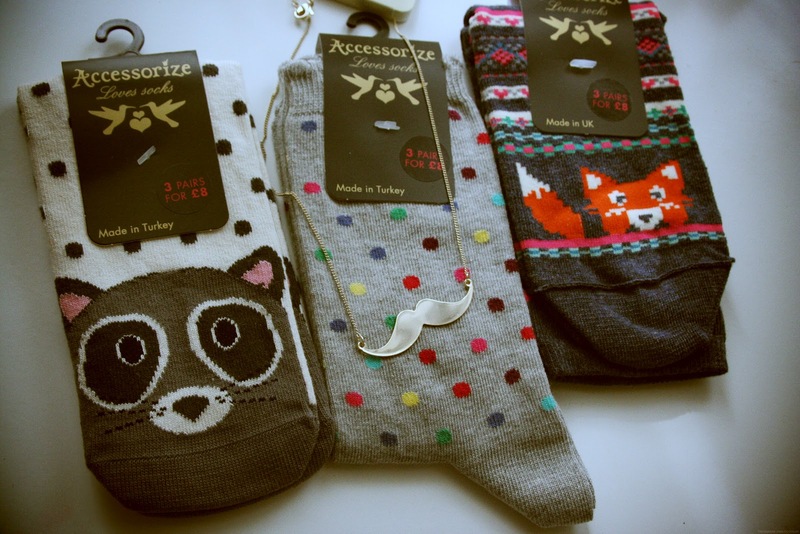 Your toes tend to get colder as temperatures dip, how about investing in the absolutely lovable socks your feet will love? Forever 21 does millions of them, Camaieu and Pimkie come a close second. Scarves add an element to your outfit while at the same time keeping your neck covered and giving you an extra layer. Invest in a cashmere wool scarf and let your skin love how it glides. (I’ve still got my heart stuck on the Burberry scarf though). Who minds a Ralph Lauren or Gucci scarf to keep you warm? 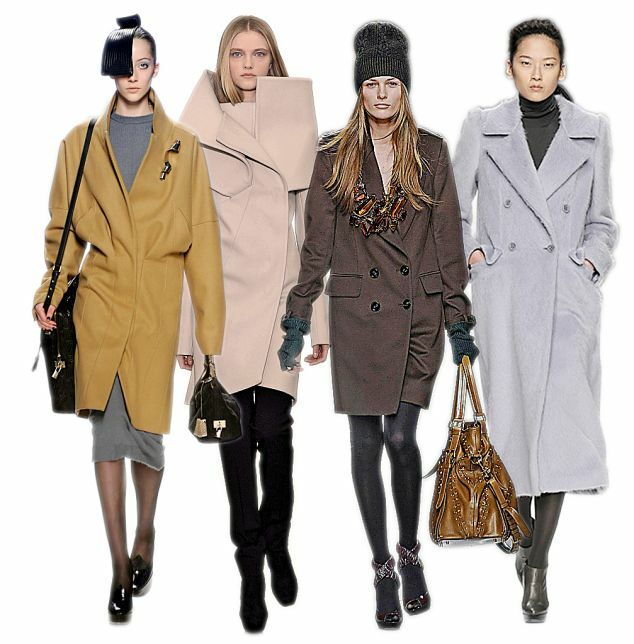 An absolute for every winter wardrobe, the Long Coat has never been out of Fashion. It is trendy and warm and keeps you comfortable for hours at end. Louis Vuitton does wonderful long coats and Burberry comes a close second. Burning a hole in your pockets? Yessica by C&A has the warmest coats ever while Zara and Marks & Spencer get to be the all time favourites. You’ve bought yours yet?